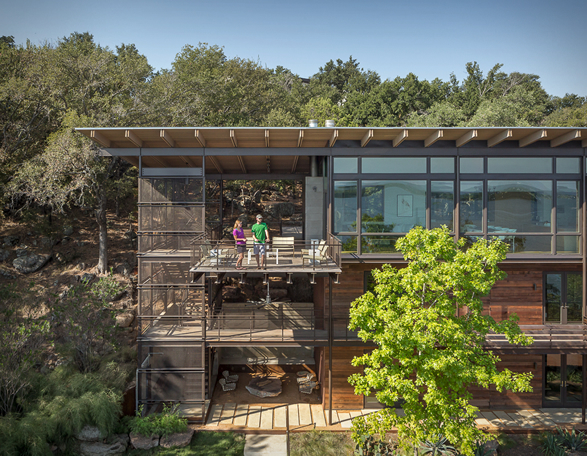 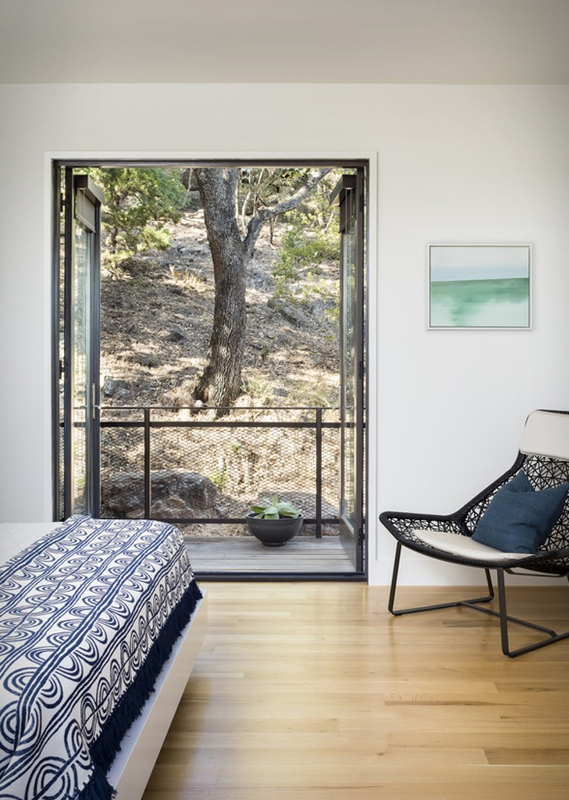 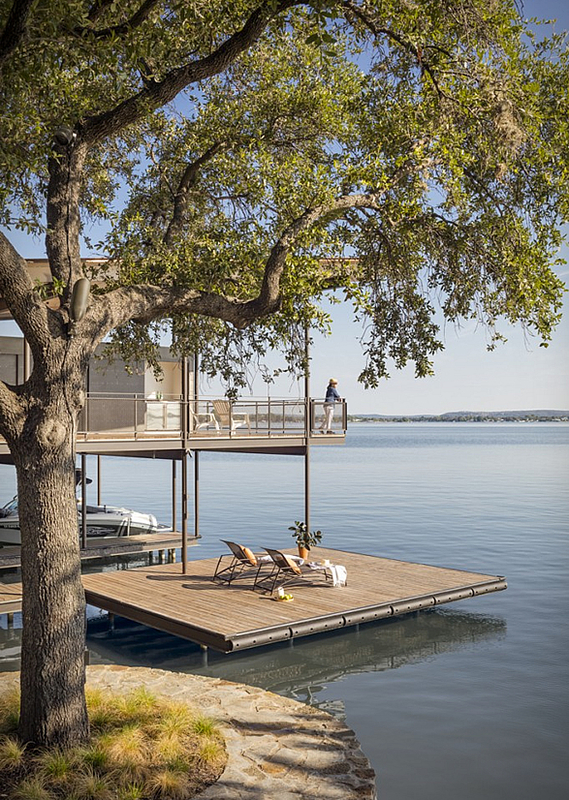 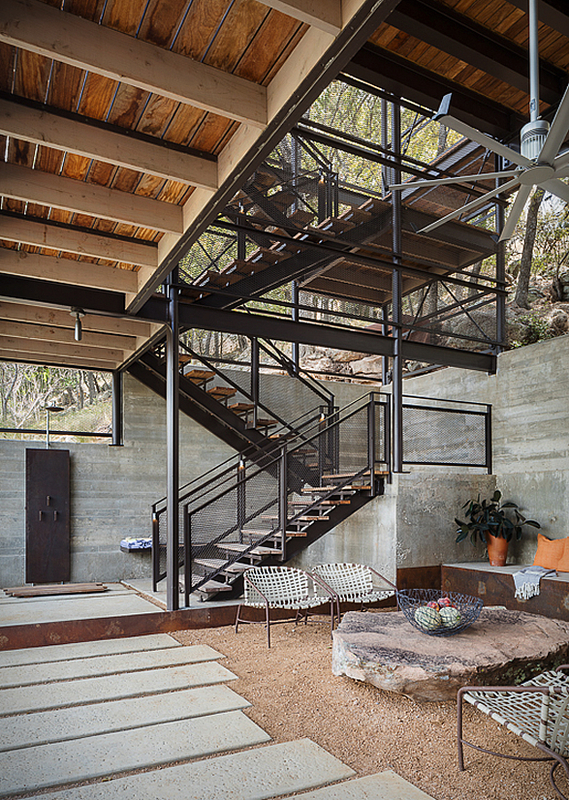 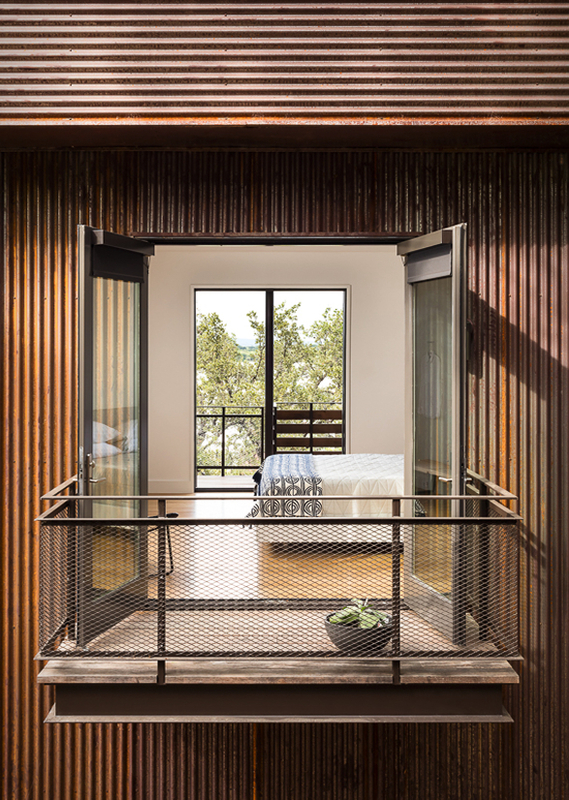 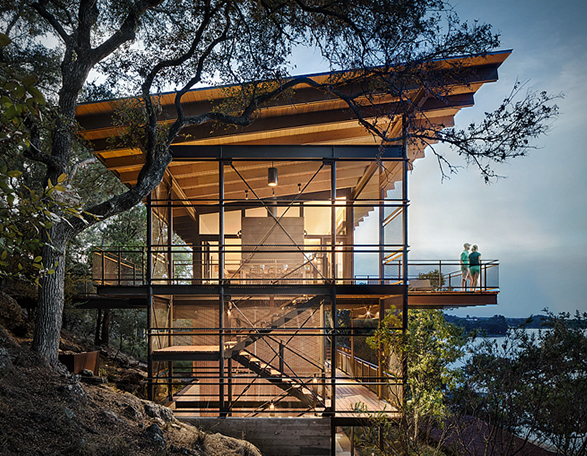 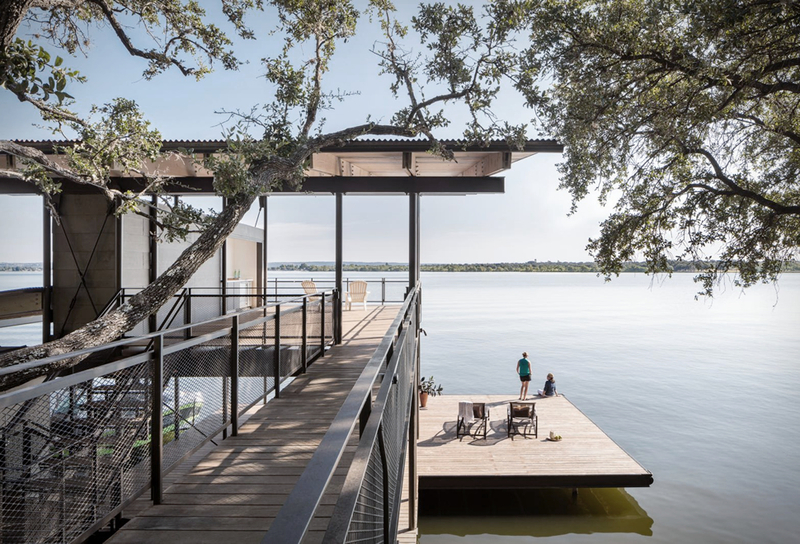 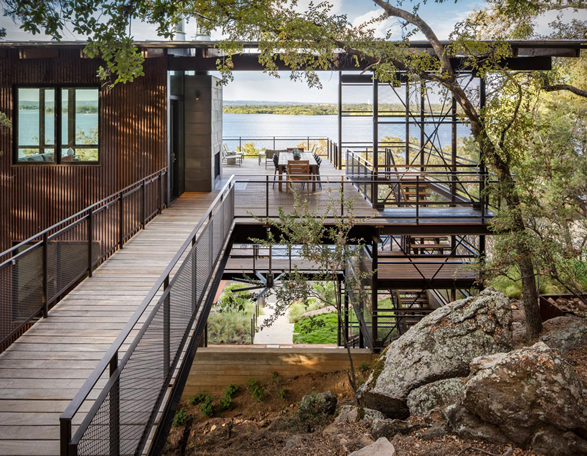 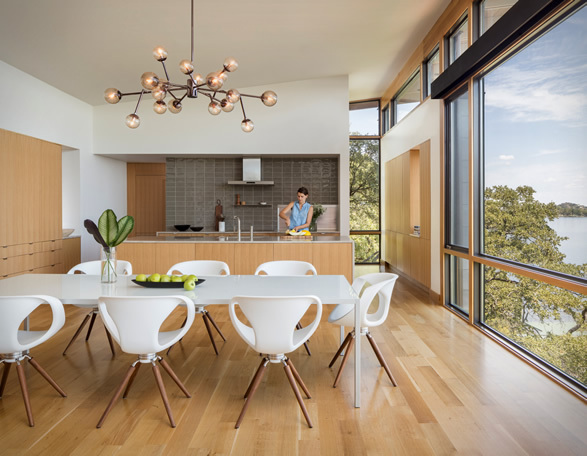 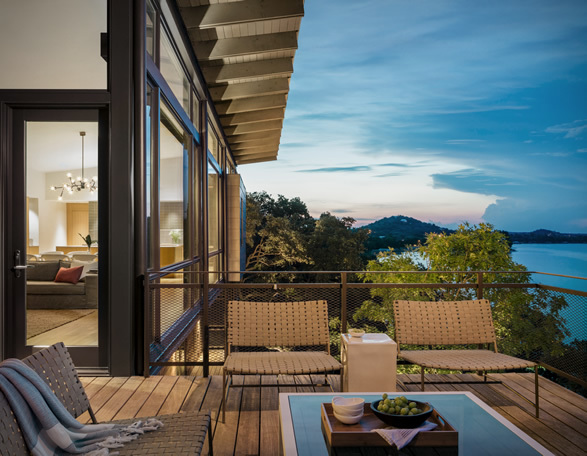 The Blue Lake Retreat is a stunning waterfront house in Marble Falls, Texas, that´s all about the outdoors. 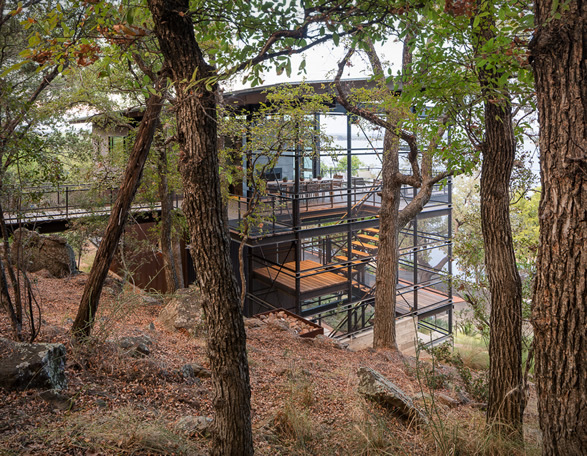 Designed by renowned architecture studio Lake Flato, they devised this modern residence, built into a cliff, on a vertical three-story metal structure designed around the property’s steep topography. 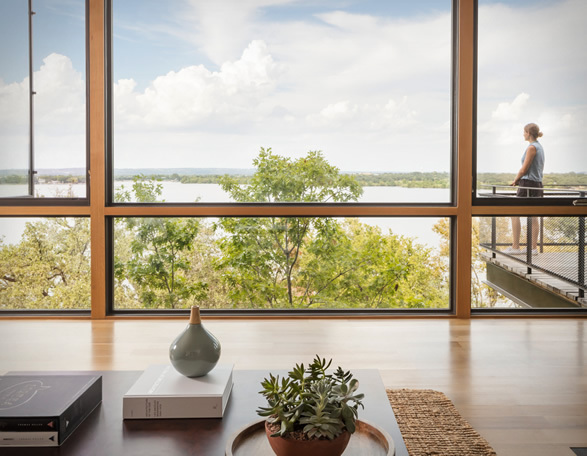 The unique architecture provides guests a 180-degree view of the lake, the main living space sits beyond the trees in the homes top floor and is framed by a glass north facing wall, the two lower floors house four bedrooms with an incredibly spacious and open layout that allows guests to experience the stunning views from virtually anywhere in the house. 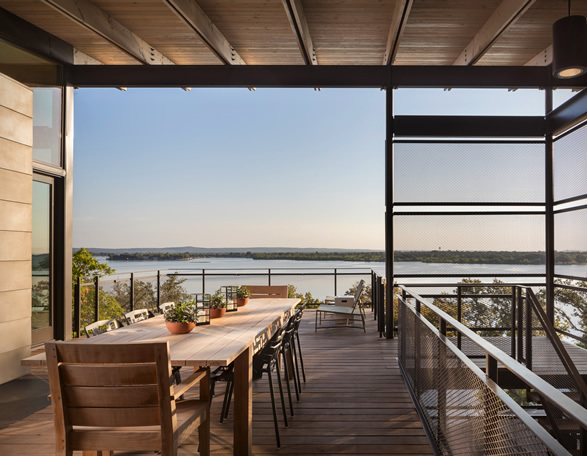 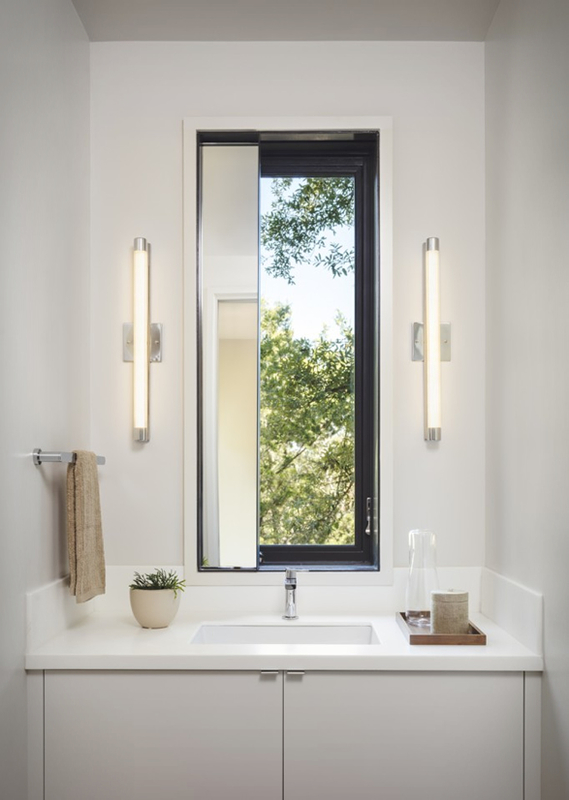 All circulation space is located outside, with an open stairwell connecting all three levels, and outdoor patios, allowing users to further interact with the outdoors. 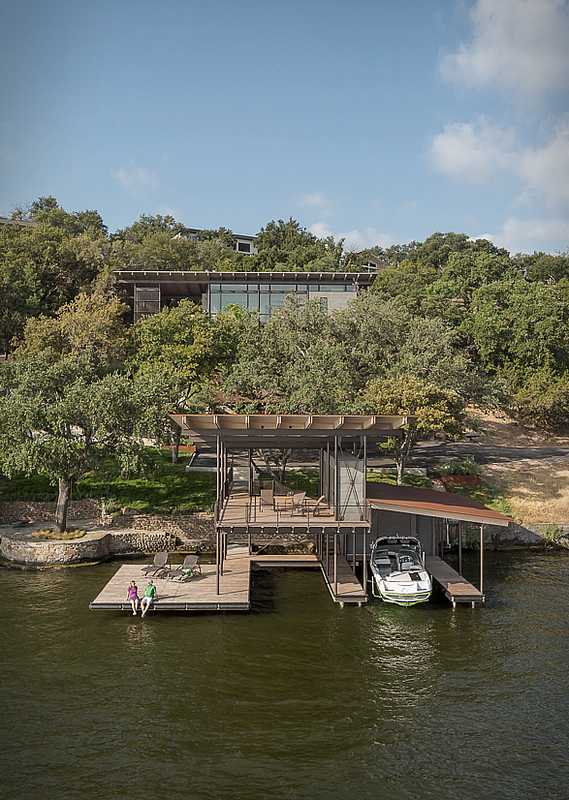 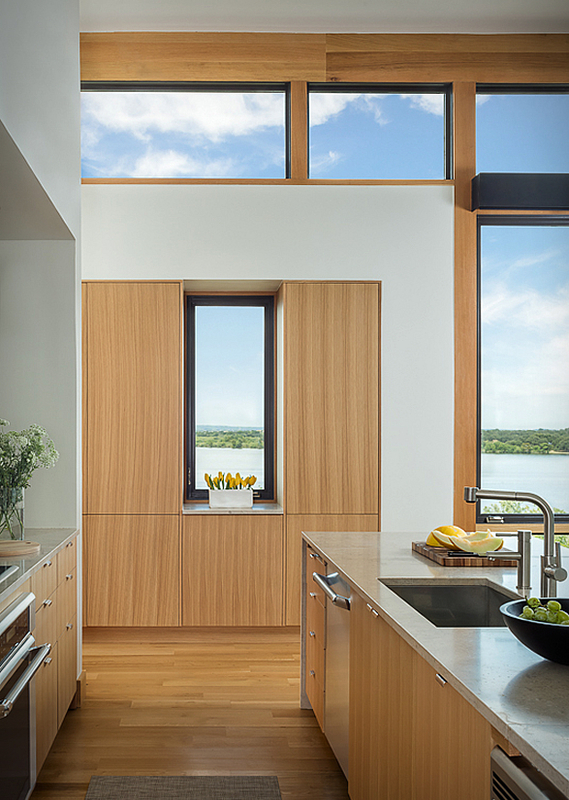 The two-story boathouse mimics the design of the house.